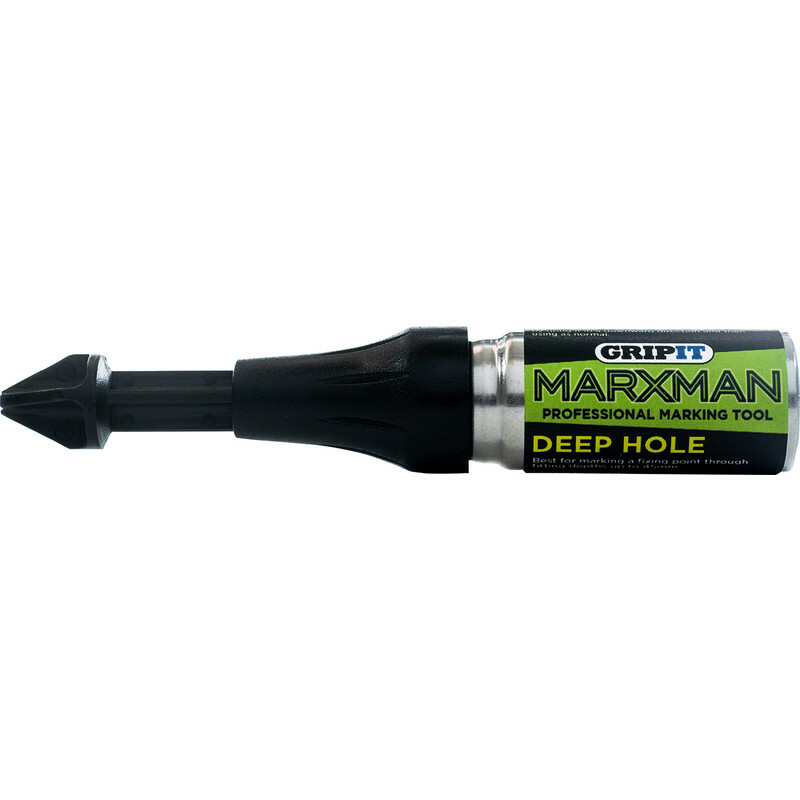 Marks a fixing point through fitting holes of various diameters and depths (45mm to 100mm) - ideal for specialist jobs such as fixing fence posts. Marks all surfaces including brick, metal, wood, pebbledash, porcelain, ceramic and stone. Delivers a burst of removable fluorescent green pigment (250+ bursts in every pen). Marxman Pen Deephole is rated 5.0 out of 5 by 1. Rated 5 out of 5 by Fruit from Utterly brilliant. Fantastic idea and works really well.